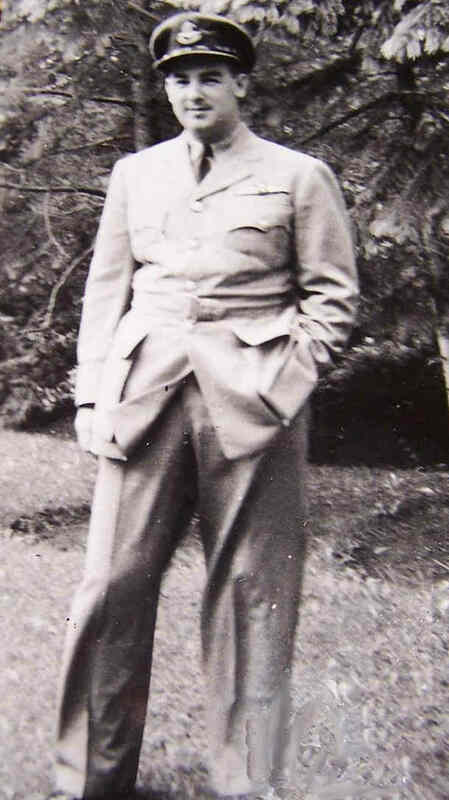 For John "Jack" Snider his RCAF service began as with all recruits at one of the Manning Depots, in Jack Snider's case it was at No.1 Manning Depot in Toronto in the summer of 1940. After his introduction into military live at No.1 M.D. in July of that year he remained in Toronto at No.1 I.T.S. at Eglinton Hunt Club. The School was not only a training ground but also testing of the physical limitations of those who applied for pilot training. Courses in theory of flight, navigation, meteorology, mathematics were there, but also the understanding of the duties of an officer and administration, or in other words all the paper work that went with the duties of a pilot or any officer. The candidates were also subjected to a very lengthy physical and psychological testing. They were tested in decompression chambers and with the Link trainer, a earth bound flight simulator which looked like some child's large toy. It was a combination of academic, physical, and psychological processing to see who was best suited to move on to become pilots. His introduction to flying came at No.3 Elementary Flight Training School in London Ontario. From this early beginnings in the little Tiger Moth trainer right through his entire life, flying was to be a major part of him. The training at London lasted less then a month, those who showed an aptitude to being pilots were sent on a different style of flight training at one of the many S.F.T.S around the country. For Jack Snider it was just a short journey from No.3 EFTS in London over to No.6 SFTS in Dunnville Ontario. No. 6was a brand new training facility and Snider was of the first group of pilots to be trained at the new base carved out of the farm land near Dunnville. Where as the instructors at No.3 were civilian instructors from the local flying clubs, the training at the Service Flying Training Schools was more in the form of military training. The lengths of the courses changed as the war progressed, in the beginning it was an eight week course. Basically the pilots in training were set up in squadrons, beginning in an intermediate level and moving on to the more advanced levels during the final two weeks of the eight week training. The aircraft at the school were single engine Yale and later Harvard trainers. When Snider arrived the aircraft used was the Yale, an aircraft which seems to be odd selection for a future bomber pilot. Most pilots destined for Bomber Command went to SFTS which had twin engine Cessna Crane or the Anson. March of 1941 found Sgt. Snider at No.1 Personnel Reception Center in Uxbridge ,near London. Within a few weeks he was posted to RAF Kinloss in the North East of Scotland, this was from March till the end of June 1941. Which meant he missed the worst of the Scottish winter in those parts. The base at Kinloss was used to convert crews to the Armstrong Whitley bomber, a aircraft which was the main stay of the No.78 squadron which would be Sgt. Snider's next posting. By November of 1941 with his first tour completed he left 78 squadron and was to be posted to two flying schools in the UK, No. 2 Central Flying School and No.6 SFTS at RAF Little Rissington. He then was to return home to Canada via No.4 PRC at Blackpool and travel on the USS Neville a US Navy Attack Transport. His stay in Canada lasted only six months, spent at No.38 SFTS at Estevan Saskatchewan. It was then he travelled back to Britian on the Queen Elizabeth. Postings to No.102 Conversion Flight at Pocklington before being posted to No. 158 squadron. 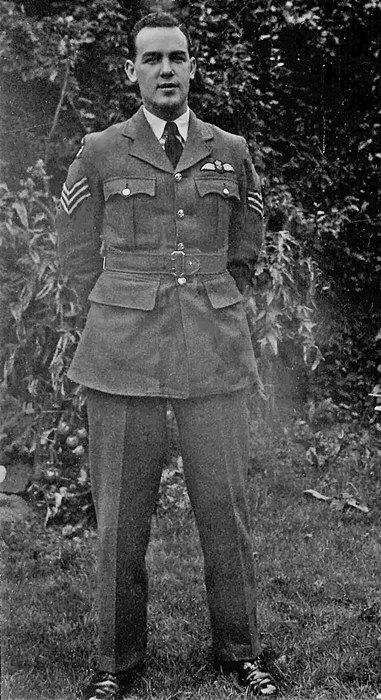 He would spent several weeks at 158 before being posted along with his crew to 419 squadron. As rank of Flying Officer John D Snider was posted to 419 squadron on January 22nd 1943. He had flown Halifax bombers while with No.158 squadron so it was smooth and rapid change that had him and his crew operational with 419. Snider was posted to Moose squadron with the same crew that now he had at No. 158. Listed on the Operations log as simply "F/O and crew" on his arrival at 419, the names of his crew could be found on the operations log (OBS). His first operation flown together with this crew was on February 2nd, 1943. Interestingly there were no flights as 2nd. Pilot listed, which would be because of his experience gained at 158. During his time with 419, his reports on target damage, defenses surrounding a target and overall planning of the attacks were well received by the after mission interrogators. He was present during the visit of the King and Queen to the squadron. His many hours flying the Halifax paid off in many different ways including a raid on Berlin where the aircraft developed a heavy glycol leak which would have meant loss of one of the engines and a long slow dangerous return to base. On the lighter side of his time with 419 was the incident in which he was chosen to be "ballast" while S/L Pattison flew a twin engine Mosquito bomber. Somehow the S/L had gained permission to take the visiting "Mossy" for a circuit around the area, grabbing "Herman Schneiderbauer", F/L Snider's squadron nick name, to be the passenger. Taking off without any instruction or guidance and returning to base to declare it a great little craft with no bad habits. So now as Pattison and Snider watched the squadron commander W/C Fleming took off along with another "passenger". This flight was not as absent of bad habits as the first flight. For as Fleming took off one of the motors on the Mosquito quit and the aircraft fell out of sight. Snider thought for sure that was the end for his Wingco, but a few seconds later he saw the little aircraft rise above the trees in which it had been lost from sight in. Fleming an excellent pilot had saved the Mossy, himself and his passenger. Proving an experienced bomber pilot could save a situation which was savable. After leaving the air force as rank of Squadron Leader, John Snider continued on flying for Trans Canada Airlines, the original name of Air Canada, flying passengers all over the routes serviced by TCA. With all the skills he had as bomber pilot and later gathered as the pilot of the big new jet passenger aircraft he was a superb pilot who could remain calm and cool during a crisis, someone you would want at the controls. On November 29th 1963, mechanical problems developed shortly after the take off of the DC-8 he was piloting to Toronto. There were no skills which anyone could have used to save the passengers and crew. It was the second DC-8 to crash in a similar way.